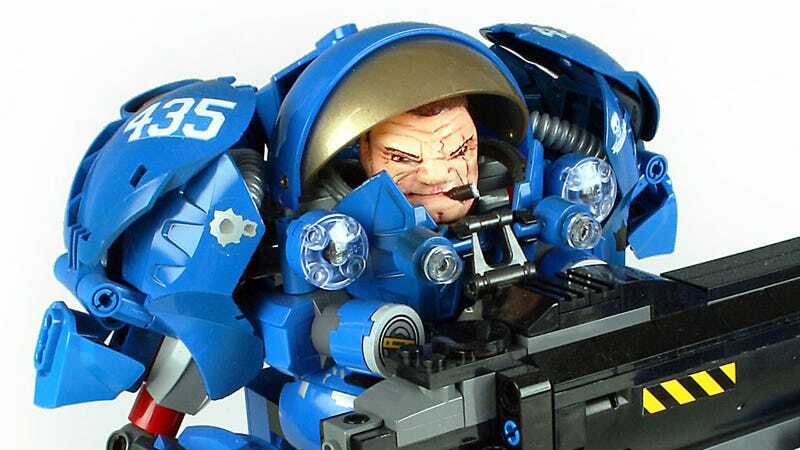 There is no such thing as StarCraft LEGO. Blizzard's deal with the awful Mega Bloks puts paid to that dream. Luis Castenada's custom Terran Marine here only makes that realisation even more painful. Aside from a custom head and some paint, the entire thing is LEGO. How he worked out the detail on the legs and shoulders is something I don't think I want to know.